There used to be a time when thin, over-arched eyebrows were the bomb. But those days are gone. 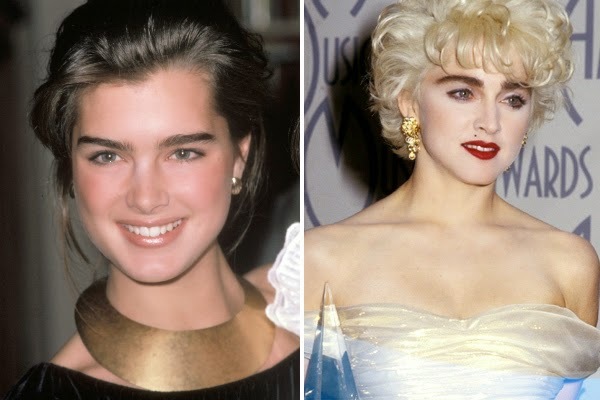 Right now, it's all about those 80's bushy eyebrows ala Brooke Shields and Madonna. The more-defined and bold the brows, the better. Personally, I always have had thick eyebrows so getting on this trend wasn't difficult. 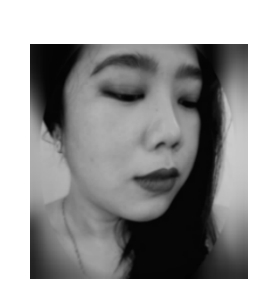 I didn't have the need to buy eyebrow pencils or powders because I figured that I have thick and dark enough brows and adding more might be over the top. I changed my mind though. I got jealous looking at those perfect, thick brows celebrities always had and mine though thick, wasn't close to perfect. 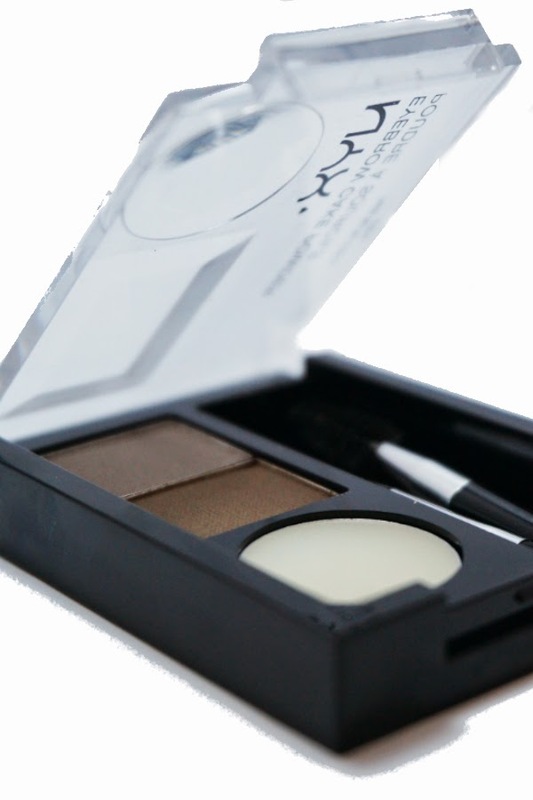 This NYX Eyebrow Cake Powder is my first dabble into the eyebrow makeup world. Reviews I found online garnered good enough ratings and the price wasn't too steep so I made the jump in purchasing this. 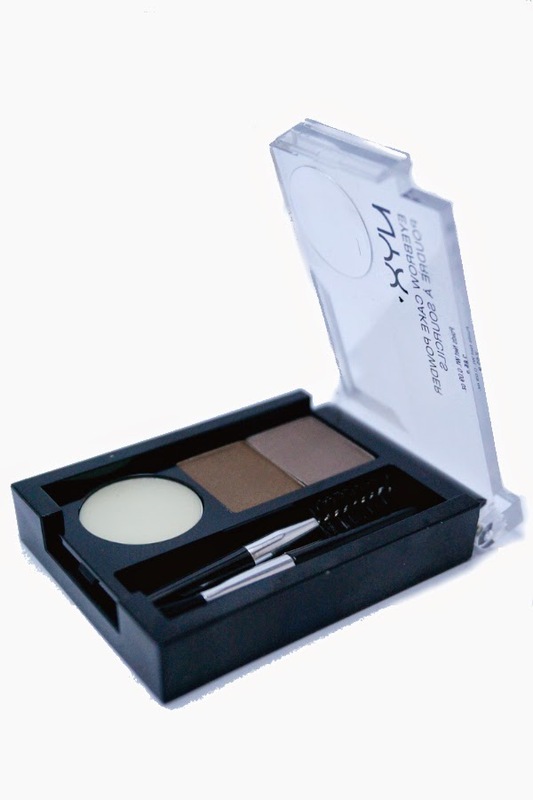 Each NYX eyebrow cake powder kit includes a slanted brush and a round wand. There are six color combinations and I chose the Taupe/Ash. There's a Black/Gray combo but I figured that can be too dark for my already dark brows. Both colors are matte and have some cool undertones to it. I think the duo shades are perfect for defining my eyebrows without it being too in-your-face. How to Use: I use the round brush to get a little bit of the wax and then comb it through my eyebrows to shape them. 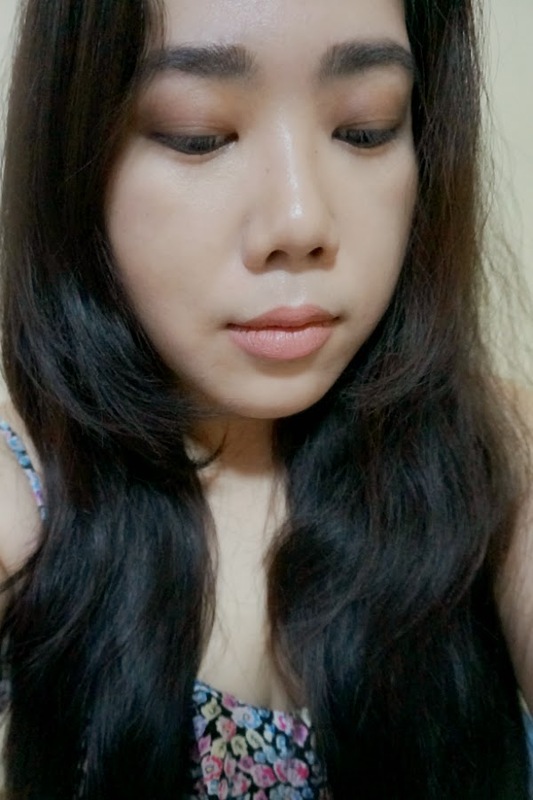 After that, I use the angle brush (I used my own eyebrow brush) to apply powder to brows. I use the Taupe to define the shape and the Ash to fill in the gaps. As a finishing touch, follow up with round wand again to style and keep brows in place. 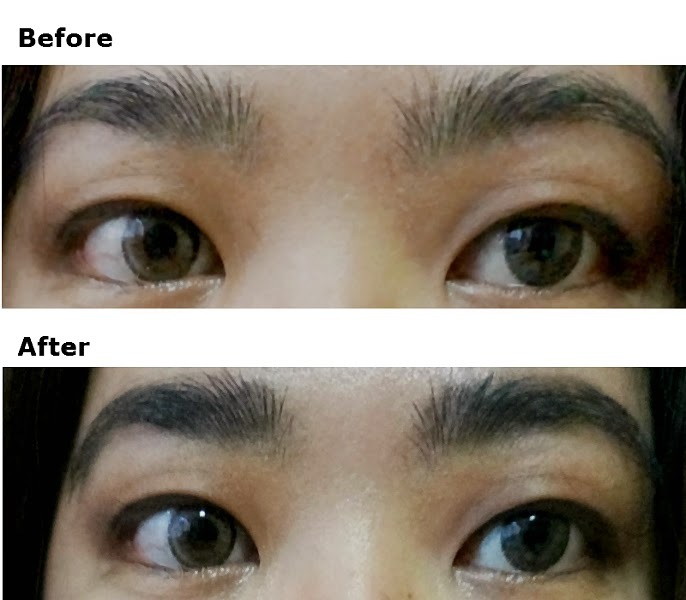 My results are not that perfect but I like how my eyebrows now look more defined but not overpowering. It looks very natural, even with my bare, no-makeup face. 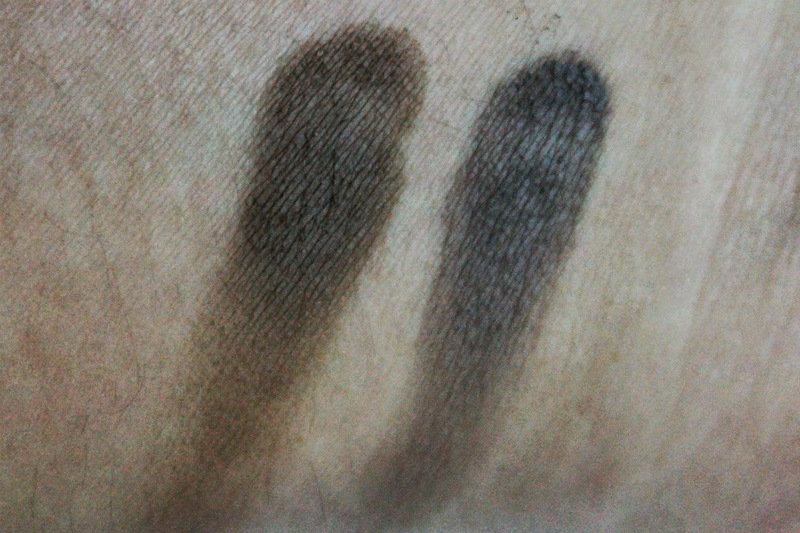 Overall: NYX Eyebrow Cake Powder in Taupe/Ash is an execellent product for those looking for an affordable eyebrow kit. The line offers 6 color options. They even have kits for blonds and redheads - that's rare at this price range or any brand at all. 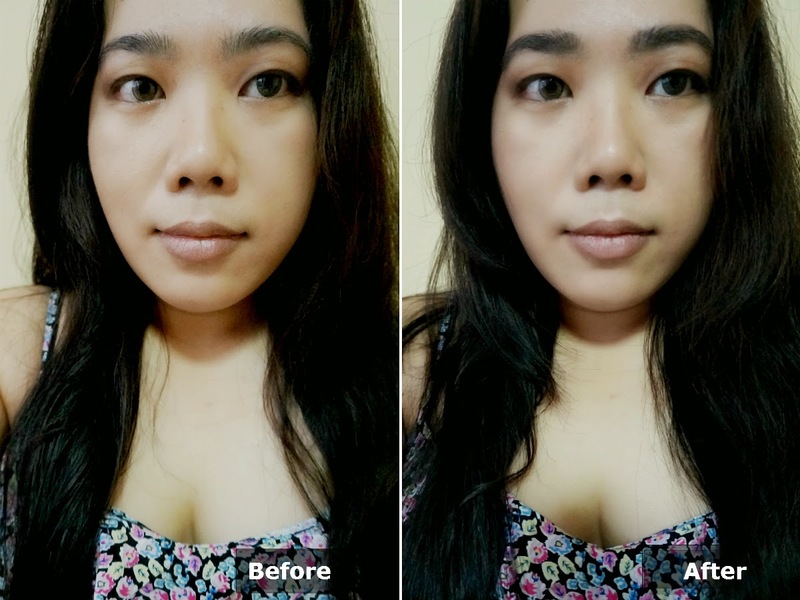 The product is easy to use, have decent staying power and produces natural-looking brows. Basically, this is a no nonsense product that performs as it's supposed to. 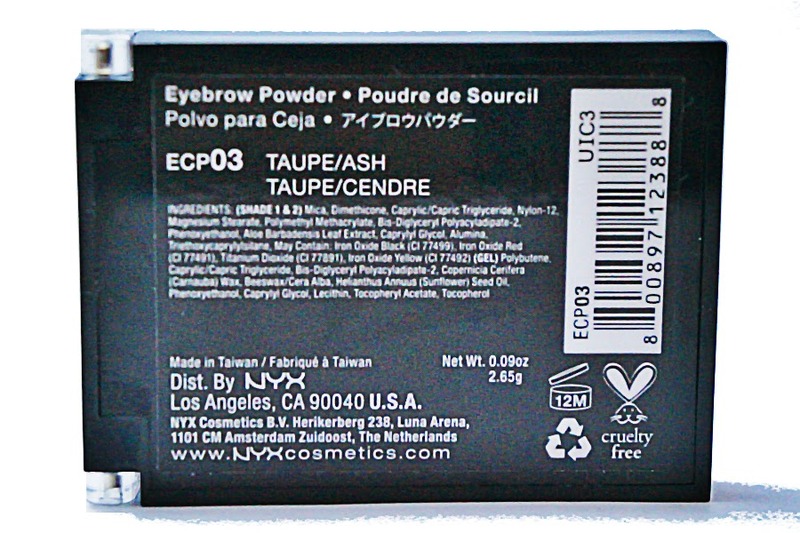 A Must-Buy for those needing well-defined, great-looking brows. 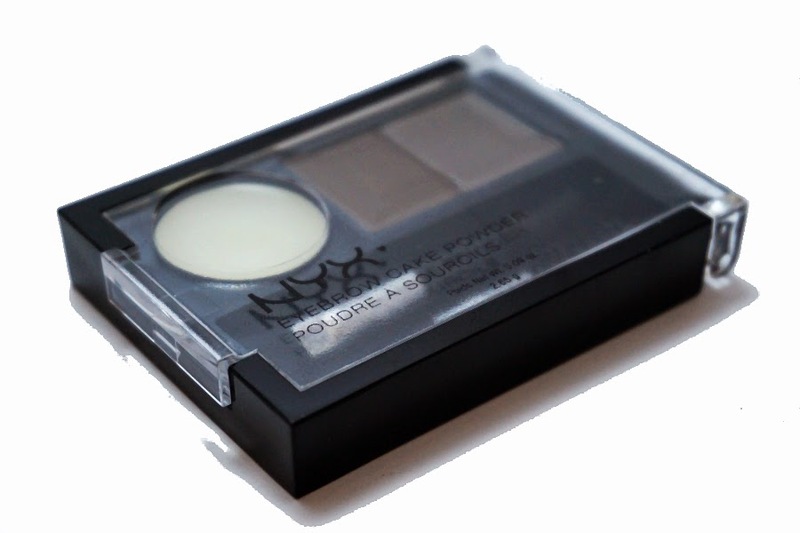 NYX Eyebrow Cake Powder in Taupe/Ash | Net Wt. 0.09oz/ 2.65g | $6, Php 220, Purchased online.